Adults and children aged 6 and over: Drink 200ml ( 2 tablets) of solution each time the body’s fluid level needs to be maintained. 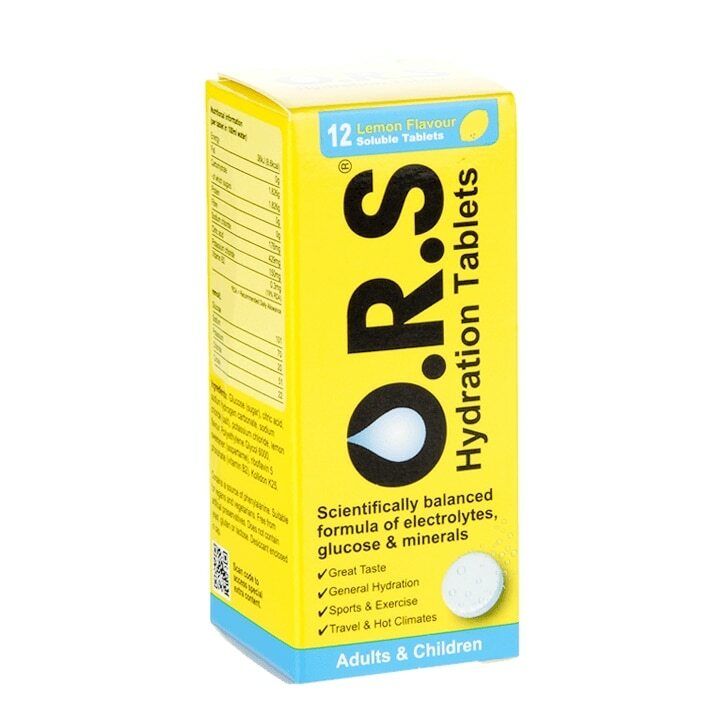 ORS Hydration Lemon Soluble Tablets is rated 5.0 out of 5 by 3. Rated 5 out of 5 by Runner 3 from This really works Have been using this for the past 6 months for my runs, I sip it as I am running and finish it off after my run. Since using it I have not experienced any lactic acid build up and get a lot of energy from it whilst running. I am now running 7 miles, faster than I could before, not sure if its all down to the drink, but it has certainly helped. Rated 5 out of 5 by furrymcnutty from Good tasting and effective I first bought this product a few months ago and I'm glad I did, I get it regularly now and don't like to be without it.